Laurie Halse Anderson author of Speak and Chains, both National Book Award finalists. The Teacher Consultants of the Shenandoah Valley Writing Project are proud to have provided Young Writer’s Workshops since 2005 for the children of the Shenandoah Valley. In 2013, the teachers formed a 501(c)(3) non-profit organization to better serve the youth of the area. Under this designation the newly formed enterprise can accept your tax deductible contributions and grant funding to expand opportunities for underserved students in our area. We invite you visit our website and donate. Project Write partners with the Children’s Literature Workshop every year in June. As teachers learn from award-winning authors, our young writers have the chance to write with the outstanding authors who visit each year. In 2016, students worked with authors Jewell Parker Rhodes (Ninth Ward and other award-winning titles), Lisa Graff (2013 National Book Award Nominee), Jacqueline Davies (The Lemonade War series) and Grace Lin (Newberry Honor Where the Mountain Meets the Moon). 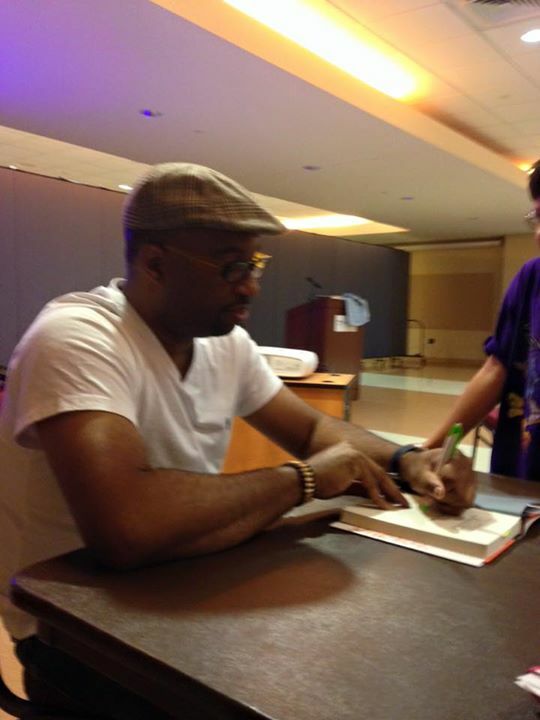 In 2015, Newberry Medal winner Kwame Alexander met with 40 young, aspiring writers and invited them to say “Yes!” when the world says “No.” Kwame was both inspiring and inspired. In his words the students were “Awesome!” joining in both writing and sharing. Kwame spent time signing the students’ copies of his award-winner Crossover and took pictures with the group. A memorable morning. Wendelin Van Draanen among others. Project Write, Inc. has an account at Amazon Smile. You can donate to our students as you shop! Just follow the link, choose Project Write, Inc., and then effortlessly improve the literacy for scores of young people. 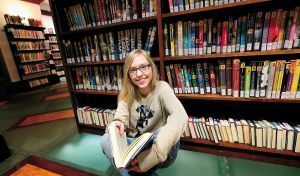 Katilynn White, a junior at John Handley High School and a regular at Project Write workshops was been awarded a National Silver Medal in the prestigious Scholastic Arts Awards program for her short story “The Five Stages of Grief.” We are pleased to have been on this writing journey with Kaitlynn. The Young Writers of the SVWP have been writing away under the leadership of Erin Hubbard and Patrick McCarthy since 2006. In 2013 the YW group spun-off into a Non-Profit called Project Write, Inc.
Connect with the Project Write website to keep up with all of the Young Writers’ activities. Is there a fall writing conference for kids. My daughter did the summer camp and thought she heard there would be one in the fall? Thanks! How much does it cost to do the Project Write and the workshop in 2018? My daughter did the Project Write thing 2 years ago and she found one for next year and was interested. The one-day workshops for Project Write are $60. We have two in the spring. One on the SU campus (we are still waiting for the University to release our request for a room and will announce after the beginning of the spring semester) and one at Fauquier High School in Warrenton on April 14. The summer weeklong workshop is June 24-29 and is $350 for the week and will be at the Bowman building in downtown Winchester. When is the summer 2019 program and what is the age range? Oh, and the ages are rising 4-8 grades and 9-12.